Who is J Rawls? If you have to ask then you have been off the hip hop charts far too long! 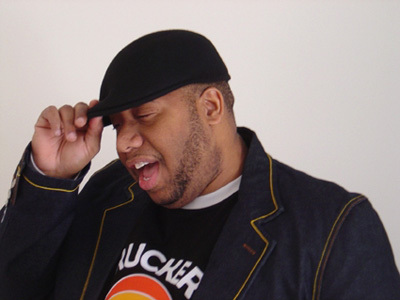 J Rawls is without a doubt one of the industry’s most talented, innovative, unique and inspiring independent music producers of hip hop / jazz fusion, a term he has aptly coined ‘Jazz Hop’! Hailing from Columbus, OHIO, USA, Rawls has worked his way up from the early days on the Columbus City Jazz Circuit, getting his start with the Jazz outfit called Attention Disorder. Together they performed and eventually recorded one of his most successful records to date, The Liquid Crystal Project. Produced by Rawls on his own label POLAR Entertainment LLC, it has gone on to become his most successful album series to date. I first discovered the infectious sound of J Rawls back in 2005 when I was asked to interview the famed producer and write an album review on his then released album “The Essence of Soul”. I was immediately struck by the effortless merge of jazz and hip hop and how the marriage between these two genres truly compliment each other. Rawls impeccable range of beats and collation of various instruments and sounds fused perfectly with the vocal styling’s of stellar nu-soul artists like Eric Roberson, Middle Child and Sol Uprising to name a few. I was hooked and have been a fan ever since. True sages of hip hop will remember Rawls acclaimed work on the 1998 “Brown Skin Lady” track off Mos Def & Talib Kweli’s Black Starr album and his ongoing efforts with the Lone Catalysts crew. Since the 2005 launch of his company POLAR Entertainment LLC, Rawls vision has always been to “accentuate the positive and eliminate the negative”, a vision that is clearly achieved through his music. Not just content with being a celebrated DJ and producer, J Rawls has added academia success to his resume by joining Ohio’s Tiffin University for their 2012-2013 academic year and will serve as their Artist-In-Residence. Putting his Bachelor’s Degree in Business, Master’s Degree in Education and Doctorate in Higher Administration to good use, Tiffin University’s Professional Music major students are truly blessed to gain the knowledge and insight that J Rawls will impart. Maybe that’s the secret to keeping hip hop on the right path; those that create the sound are the same as those that teach the sound? Either way Hip Hop is in safe hands with J Rawls at the helm! You have been in the hip hop game for close on 20 years now – amazing feat in itself! Tell me how do you remain constant and true to an industry that has at times lost its way? I just try to keep making what I consider good music. I also try to touch every genre of music. I’m not sure if people are checking but I have done hip hop, jazz, soul — currently I’m working on a poetry album and I am looking for a rock band and gospel act to work with as well. I want to constantly keep doing new things while staying true to that Rawls sound. 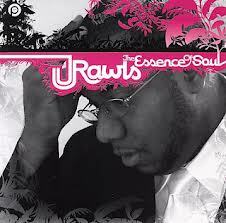 I have been a great fan of J Rawls and your sound for many years now – my favourite album being Essence of Soul. This album was produced on your own label POLAR and featured amazing artists like Aloe Blacc, Middle Child and Eric Roberson to name a few. Can you best describe your sound J, how it comes to you and how you relay the perfect beat with the perfect lyric? I don’t think I am sure how to say how I match the perfect beat and lyric. I usually make music directly for an artist. I like to listen to an artist and get to know them – it helps us connect better. Me and John Robinson did that. Me and middle child did it as well….Mine and casual’s new album is the perfect representative of this. We really got to build on this album together. It gives it a unique sound. Representing Columbus Ohio, you have really shone a light on a scene and movement that has proved to be quite pivotal in the underground hip hop community. (My husband is from Columbus and we have family there) – How would you describe the sound and scene in Columbus and how does that differ from the rest of the States? Wow. Your husband is from here! sweet….lol I am not sure if it differs. I will be honest, even with all the talent coming out of here (copywriter, blueprint, rushed) this city is still working to define itself. We are still working to create an identity. the sound is still developing. 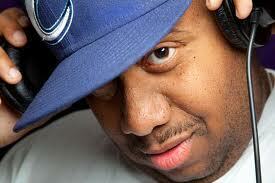 You have worked with some of the best in the industry J – from Slum Village to Black Star, 9th Wonder and J-Live. Would you say there are highs and lows associated when working with different ranges of talent and musical scope? There are highs and lows when you do anything. Music is no exception. from bad contracts to album placements. there have been good and bad times. It comes down to egos, and how some artists work with others. Not everybody works well with others. You just have to roll with it and make the best of it. You are one half of The Lone Catalysts with MC J Sands. Have you been producing anything as a group of late, with your last production Good Music coming out in 2005? No I haven’t done any new lone catalysts work. J Sands is working on a lot of material and I have been concentrating on my label POLAR entertainment. What are your thoughts about the state of hip hop today J? How do you see your role evolving as this industry goes through its veritable ups and downs? If you could take 4 albums into the afterlife with you, which 4 would they be? Wow…great question….Midnight Marauders, Mecca and the Soul Brother, Cal Trader – Soul Sauce, Nas – Illmatic – and I could think of 100 more…hahaha. four is rough for me….I still need some Sergio Mendes, Astrud Gilberto, Jorge Ben, James Brown haha I could go on. What advice would you give to aspiring hip hop producers trying to get their big break in this game? Keep pushing and don’t give up. Also get with an MC, get with a group of some sort, no one will hear your beats without an mc over them. You have expressed interest in visiting Australia in the not too distant future ;o) what do you know about our hip hop / music community if anything down under? I don’t know enough at all!!! I need you to hip me to some Australian hip hop!!! I know a lot of my peers have visited. So I want to see what it’s like. What would your mission statement in life be? It’s the name of my company. Positive Outlook Links Active Reality -POLAR – I believe if you stay positive you can do it all. Your future projects / current production – let us know what J Rawls has in the plans?